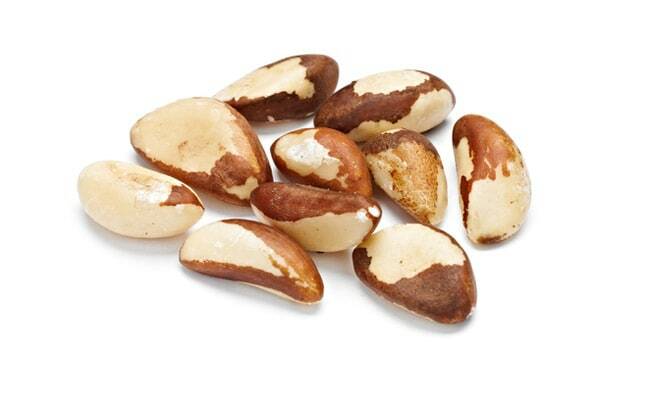 Brazil nut is smooth in texture, extremely delicious and has an earthy flavour. 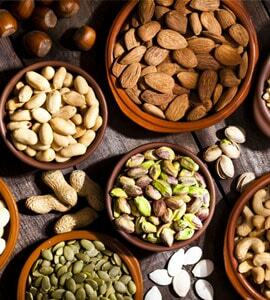 Nutrient-dense these nuts are beneficial for the skin, hair and overall health. Brazil nut stands out from all the rest because of its superb nutritional value. Nuts are all time favourite whether you want to munch it for a health reason or simply because they are delicious. All the nuts are healthy and provide numerous health benefits. But this nut stands out from all the rest because of its superb nutritional value. These nuts are Brazil nuts. They are edible seeds from the Brazil nut tree, and they can be consumed either raw or blanched. The nuts grow inside a round, thick, brown, coconut-like shell, in orange-like segments which, when split open, reveals around ten to twenty Brazil nuts. Brazil nut is smooth in texture, extremely delicious and has an earthy flavour. Nutrient-dense these nuts are beneficial for the skin, hair and overall health. Nutrient-dense these nuts are beneficial for the skin, hair and overall health. 1. 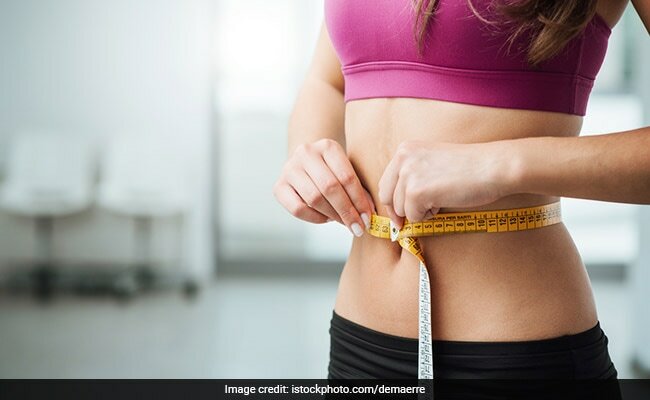 Weight control: Brazil nut help in weight management. They are rich in protein and fiber that control hunger and stop you from overeating in the next meal. Eating a small serving of Brazil nuts helps you keep full for a longer time, thereby reducing the likelihood of snacking in between the meals. Brazil nut help in weight management. 2. 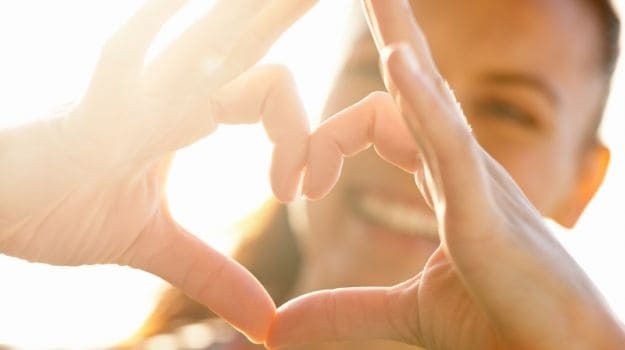 Healthy heart: Brazil nuts contain high amounts of omega 3 fatty acids that reduce the risk of cardiovascular diseases. These nuts are an excellent source of monounsaturated fatty acids like oleic and palmitoleic acid. This is beneficial for lowering the bad cholesterol and increasing good cholesterol in the blood. Selenium in Brazil nuts helps in preventing the clotting of blood. 3. Glowing skin: Selenium in Brazil nuts speeds up the cell turnover process, providing a natural glow to the skin. The high levels of antioxidants in Brazil nuts stimulate the production of glutathione, which combats free radicals that damage the skin collagen. 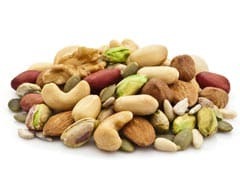 The Vitamin E present in nuts also maintains the integrity of the cells of the mucus membranes and the skin. 4. Prevents cancer: The antioxidants in Brazil nuts that help prevent atherosclerosis are beneficial in preventing certain cancers. 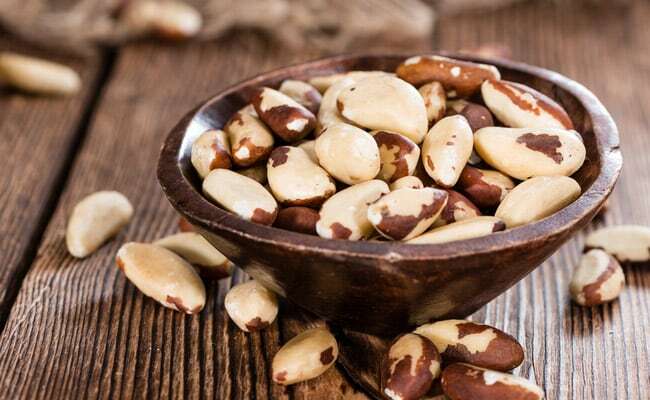 A study from Cornell University and the University of Arizona demonstrated that those test subjects who took 200 mcg selenium (which Brazil nuts are packed with) every day for at least 10 years showed a significant reduction (as much as 41%) in cancer rates compared to those who did not. 5. Thyroid control: The anti-oxidant selenium in Brazil nut is an important nutrient that plays a major role in proper functioning of the thyroid. It is a major key component to be able to create and use hormones produced by the thyroid. Thyroid is responsible in controlling our body’s metabolism, heart rate and temperature.
'' The best way to incorporate these nuts into your diet is simply add them to your smoothie for an extra dose of taste and good health,'' the nutritionist added.